The growth of video within enterprises is staggering but very much expected as the benefits and results are becoming more easily demonstrated. As organizations continue to expand their use of live and on-demand video, their video libraries will grow exponentially and their need for tools to analyze video content and provide insights will become increasingly more important. Insights derived from video use data will enable organizations to be more effective in their usage of video, driving up an already demonstrable ROI. 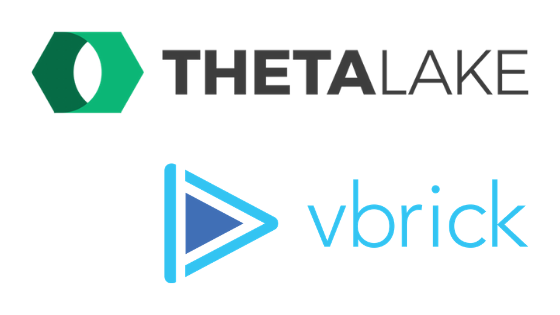 We’re excited to announce Vbrick and Theta Lake are partnering to explore how Artificial Intelligence (AI) and Machine Learning (ML) can build the IQ of video. As AI and ML models continue to improve, along with the continuous growth in data sets such as video content, AI vendor capabilities and insights will evolve providing even more value to organizations. Read Anthony Cresci full guest article here.